In honor of the poet laureate of Harlem, 2014 marked the 29th annual award ceremony and 40th year of the Langston Hughes Festival, hosted by the City College of New York (CCNY) in Harlem. Each year the award goes to a Black writer whose work has lasting impact and is in line with the democratic, humanistic spirit of Langston Hughes. 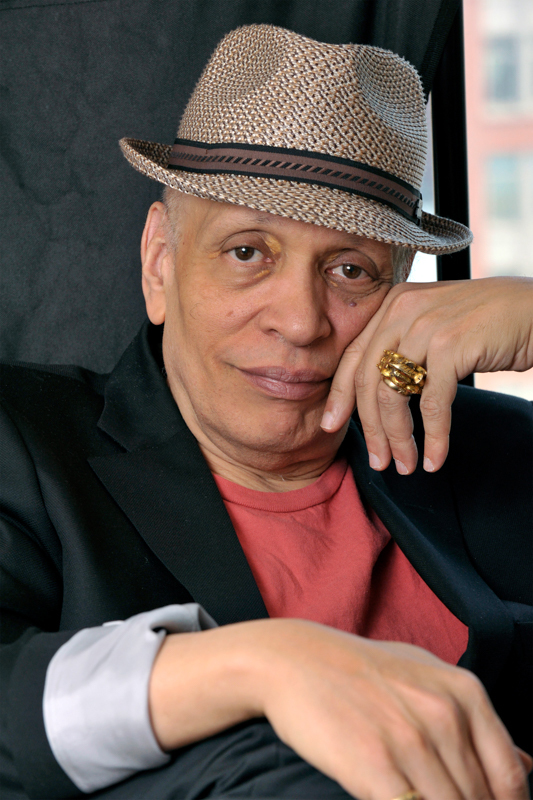 This year’s award went to Walter Mosley, a CCNY graduate and novelist famous for his crime fiction, including the lauded “Easy Rawlins” detective series. The first Langston Hughes Festival award was the Martin Luther King Memorial Medal presented to James Baldwin in 1978, for his “life-time dedication to humanitarian ideals.” In 1984, starting with Ralph Waldo Ellison, the Festival started the Langston Hughes medallion. Past recipients include James Baldwin, Gwendolyn Brooks, Ralph Ellison, Toni Morrison, Maya Angelou, Amiri Baraka, Alice Walker, Chinua Achebe, Jayne Cortez, George Lamming, August Wilson, Sterling Brown, and Octavia Butler. While Mosley grew up in Los Angeles and many of his stories are based in the area, he first picked up the pen in his 30’s, after enrolling in a creative writing course at CCNY in Harlem. Since starting to write, Mosley has finished over 40 books in multiple genres, including mystery, science fiction, non-fiction, erotica, and plays. Mosley’s work often focuses on working-class issues and the struggle for personal freedom — in the same way that Hughes saw beauty and poetry in the struggle of everyday life. The writers are all wonderful…but you know there’s a much larger thing about the community of writers and readers that awards like this actually represent. Yes, I’m in that company, but we should all be happy that we’re recognized by these readers and this world, so that’s actually what’s most important to me. Tell us about your experience with City College. Well you know, City College was great — to come here to study writing…you know I’m from Los Angeles, and Los Angeles is a profoundly class segregated city. But I was here you know, up in Harlem at City College. Edna O’Brien was here, some of the best poets, fiction writers, playwrites — they were all here. You would never find that in LA. In LA those people, they’d be completely hidden from you. It’s a wonderful, ever day kind of place, lots of different kinds of people. You’re not at some crazy college where everybody’s paying $50,000 a year to go there, so either they’re insane or they’re rich — and either thing is problematic (if that’s the only thing you’re surrounded by). But you know I’m surrounded by working people, I’m surrounded by a big history, a beautiful structure, and a commitment to real education, to understanding how our world works — which is what my fiction’s all about. What about the Publishing program, how did that come to be? Well you know, I’d had a lot of conversations with people in publishing about the racism of publishing. There are a lot of things that are racist unconsciously. Any organization or business in America that relies on government money has to desegregate. But if you don’t rely on government you don’t have to desegregate, so you might not ever think about it. It just lasts from the past into the future. Publishing is one of those industries that don’t get any government money, so they kept on doing what they always did., which never in their heads seemed racist. You know people would say to you, “Well my daughter’s married to a Puerto Rican,” or whatever they’d say. I realized that I was so angry about it that I couldn’t talk to people in publishing, so instead I came up here and said I’m going to start the institute up here, so I can have an impact on this industry without having to yell and scream at them. How have you felt about the impact it’s had? The last time I checked it was doing very well…The big problem is that if you’ve got one Black publicist or editor whatever in a place, well that was just one person, and they were isolated and alone. But with this — it gives them a community, other people they’re working with, other places they can call…in creating a community I think it’s done very well. How has Langston Hughes’ work impacted you? I love Langston Hughes because Langston Hughes was the kind of person, you would ask him, “Why are people so racist about Black people,” and he’d say, “It’s because they don’t know what it’s like to be Black. Because if they knew what it was like, they would never go back again.” And I think there’s a love that he has for us, and you feel that love in the work, the fiction and poetry, everything that he did. There are a lot of writers who write from hatred and bitterness and anger, and a lot of great work comes out of that (don’t get be wrong). But you know the fact that you’re loved by a writer, the fact that what you’re reading is loving you — that’s extraordinary. Do artists have any sort of special social responsibility? Everyone has social responsibility, and everyone has the same amount of social responsibility. So, yes. But I think they also have choice. You have both responsibility and choice…we all do. That’s what’s really important, that we all do. You’ve been quoted as saying “there’s no such thing as ‘white’ people” — that this is a myth used to subjugate other races. So are there Black people or Red people? No. But because the so-called “white” race is dominant, they enforce the existence of all these other races. In Africa there weren’t “Black” people, they weren’t talking about being “Black.” What kind of crazy thing is that? I’m Masi, I’m Tuti, I’m Pygmy. So yeah, it’s crazy. But in order to end all races, white people need to realize that they’re not white….that this thing that they’re holding on to is completely made up! I mean when you do genetic tests, you don’t do genetic tests on “white.” You know there’s this Caucasian thing, but that’s only a small element. In ancient Britain there were ten different races — the Druids, the Picts, the Celts, the Scotts, it goes on and on. And they all thought they were a different race, and they actually looked different, acted different, smelled different, ate different. Whenever I’m asked, “Do you think we live in a post racial society?” I say, “Well it depends. Are you white?” and if they are, then how can we be post racial? And even more that, we could say, “Is Ferguson in the United States? Is Staten Island in the United States?” The guy the policeman killed this weekend, you know he walked into a dark hallway and somehow his gun went off by mistake and somebody got killed — would that happen in a fancy place where there were white people? So we don’t live in a post racial world, and that’s just it. But race isn’t the complete definition of our world. I think that’s the thing; it’s not the complete definition. For most of us race is not an issue — when it comes to eating, sleeping, f***ing, dreaming, reading, talking, aging, feeling, you know all of that stuff we all do together. So race becomes a very small category.